Free Shipping on US orders $150 or more. The matching detachable neck cover features 1200 denier rip-stop outer shell and 300g Hollofil insulation. 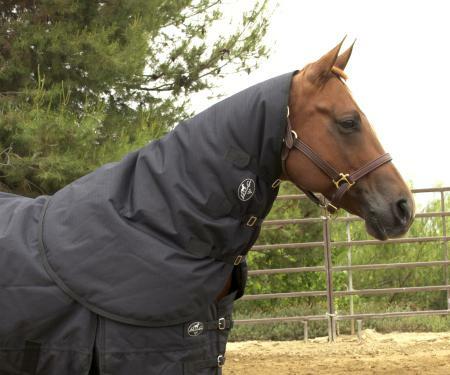 It is designed to keep the horse's neck warm and dry from a harsh winter storm, yet is removable for milder days. 20-day money back guarantee/ six month warranty or as required by law. Seasonal Item. Not for Sale. Free Shipping on US orders $150 or more.